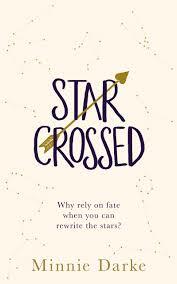 If you haven’t yet read Star Crossed, the big hearted and hilarious romantic comedy by Tasmania’s Minnie Darke (aka Danielle Wood), perhaps this interview will whet your appetite. Pop on over to our https://www.taswriters.org/april-recommended-reads/ page to discover more. When did you get the first inkling of the idea for this novel? The idea for the novel came to me quite a long time ago, when I was a journalist at a small newspaper. Because the staff were few, and it was handy for everyone to be able to make changes to the paper right up until deadline, I had a log-in that gave me access to the entire publication. I was working late one night when I had the idea that I could, if I wanted to, fiddle about with the astrology column. Hmmm, I thought … I could make the entries spookily relevant to my friends’ lives, or perhaps take a hand – invisibly – in their decisions. I’m not saying I definitely ever did any of that, but it was a seductive idea. It was also, I thought, the good basis for a novel. It was quite a while, decades in fact, before I actually sat down and wrote Star-crossed. In those intervening years, I learned that even people who aren’t ‘into’ astrology, tend to know their own sun sign, and the basic stereotypes that go along with it. For a lot of people, their star-sign is part of what they consider to be their identity, and they’ll glance at their horoscope if they come upon it in a newspaper or magazine – even if they don’t take astrology even vaguely seriously. We humans are reliably interested in questions of fate. Are we living out a pre-ordained pattern? Or are we just drifting, bumbling along? We know that there are forces acting on us all the time, but are some of them as far away as the stars? Could these forces be known, and therefore harnessed in the service of our dreams? These are all interesting questions. Are you an astrology sceptic or true believer? I don’t know if I believein astrology, but I certainly like it. I find it hard to resist reading a ‘This Year in the Stars’ feature in a magazine, or scrolling down to read my horoscope in a column if I come upon one, but I don’t really go out of my way to seek guidance from above. I’m probably more interested in how people do – and don’t – embrace and conform to the stereotypes about their signs. I expect I picked this up from my grandmother. She kept two very well-thumbed and dog-eared books on a shelf near her favourite chair. One was her crossword puzzle dictionary and the other was a copy of Linda Goodman’s Sun Signs. She a great was one for saying things like – ‘Oh your grandfather’s just being a miserly old Capricorn’. Or, ‘your Dad’s not one for risks; he’s a Cancerian after all’. She was a nurse, and a classic Virgo – always ready to patch up people’s ailments, and to take a close interest in their personal affairs. And, of course, she could do hospital corners with her sheets! Star-crossedis a bit of a romp; it definitely doesn’t take itself too seriously. I really enjoyed letting myself off the leash and being wholeheartedly mischevious. I would like to say, ‘no – that would be like having a favourite child!’, but the truth is I do. My favourite character is Brown Houdini-Malarky, who was so much fun to create that he basically wrote himself. What is your ideal daily writing routine? At my desk by 6am with a pot of tea, a decent amount of words on the page by 2pm, leaving time in the day to do the ‘washing up’ (administration, publicity, social media) and still have the evening to have a life. Have you been to any writing retreats and if so, did you find them valuable? How long did it take you to write Star Crossed? In some ways, 22 years. In other ways, 18 months. It must have been fun writing the astrology notes. Did you do a lot of research beforehand on each sign and planet alignments? I suppose that in some ways, I’ve been accidentally researching Star-crossedfor a very long time. My mother and grandmothers were great readers of women’s magazines, so I had quite an exposure to Australian Women’s Weekly,New Ideaand Women’s Day, all of which included horoscopes. I spent summers at our family shack, and most magazines would have a new year astrology feature on what the star-signs could expect in the year ahead. My maternal grandmother, Polly, was a Virgo, and she kept her copy of Linda Goodman’s Sun Signson the same shelf as her well-thumbed crossword dictionary. She loved being a Virgo. It provided a justification for the fussy way she made the bed, and an excuse for the sometimes-intrusive interest she took in other people’s health problems! All things considered, my childhood provided me with a pretty good grounding in the stereotypes that apply to the twelve sun signs. I’m not really sure I can remember a time when I didn’t want to be a writer. What do you think is the most important ingredient in a story? Oh, that’s a tricky question. There are lots of different kinds of writing and lots of different important ingredients. Perhaps something all stories need is a reason for the reader to read on—that might be a compelling situation, or the sheer loveliness of the writing, or characters that make a reader care for them. Can you tell us about what you’re currently working on? I’m working on Minnie Darke’s new novel. This time, it’s about music, and it’s a little bit sadder than Star-crossed. If Star-crossed is in a major key (a rom-com), this one is in a minor key (perhaps more of a rom without the com). Who are some writers who inspire you? 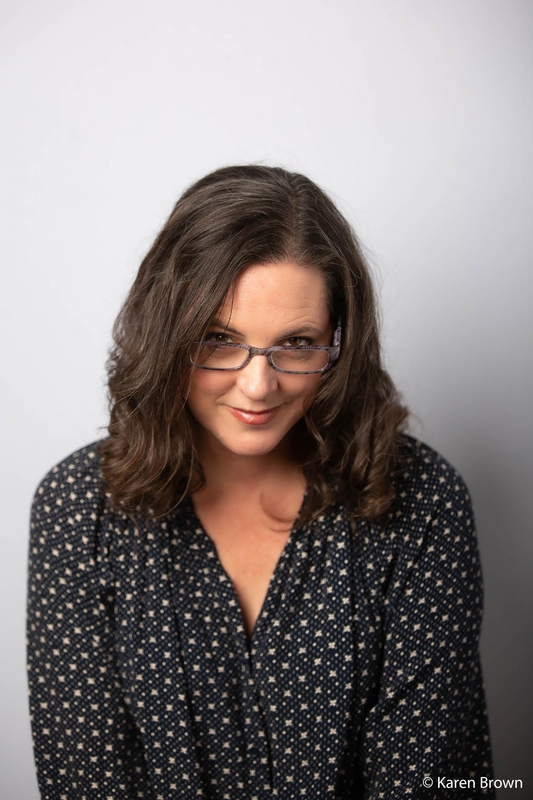 This week, I’m going to say Jessica Townsend, author of the children’s books Nevermoorand The Wundersmith, which I’ve just read with my kids, and totally adored. I am inspired by the way Jessica manages to make child-friendly stories so fascinating for adults. Ask me again next week, and I’ll have a different answer!